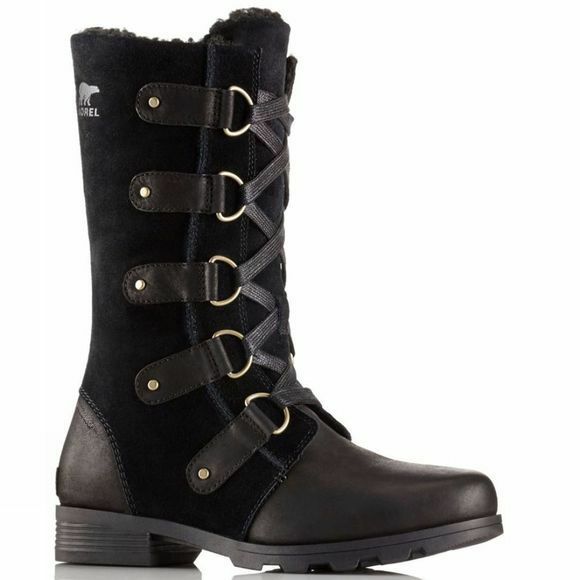 The Women's Emelie Lace Boot from Sorel is a warm and waterproof boot that offers a comfortable haven for your feet. Particularly ideal when the weather is offering nothing but wintery vibes and raining all over your parade. 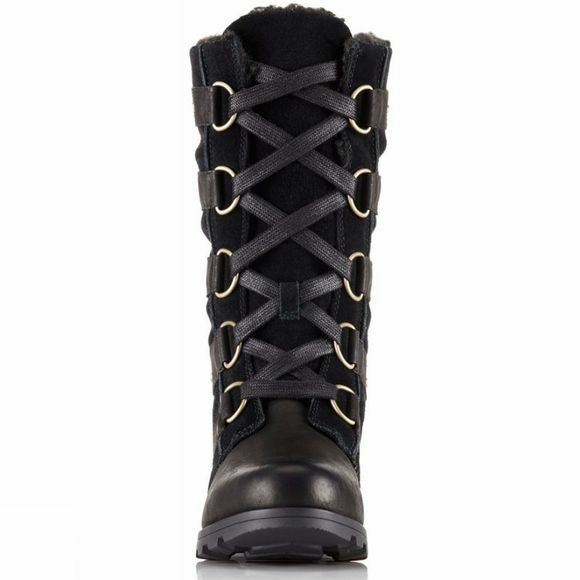 The waterproof leather upper moulds around your foot with the traditional lace fastening while the faux fur collar offers extra warmth and heat retention for cooler days. The footbed has a microfleece lining to help keep your feet cosy while the molded rubber outsole is durable and grippy to keep you steady across a range of different urban terrains.